One of the features of the Chelsea Salon programme is the series of talks organised by Laura Carew of Chelsea Salon. The talks are an example of the aims of Chelsea Salon to create a community of practice between current students at Chelsea College of Arts and its alumni. This forum is intended as an opportunity for artists to receive feedback on their practice and to experiment with ideas arising from their research. It is intended to expand the professional practice development of the artists involved. Although centred around CCA, it is intended to be inclusive and open. We have probably all giggled at her images whether it be Elton John having an enema or Tony Blair looking down Cherie’s bikini. All by the way situations that are credible but which we also know are a set up. The humour is powerful but there is serious intent here. At a time when the photographic image has become ubiquitous as has our obsession with celebrity, Alison Jackson poses some important questions about authenticity and voyeurism. Theoretically we all know that the camera can lie but we are inclined to believe and want to believe what we see. What is authentic anyway? As Warhol said “Who wants the truth? That’s what show business is for, to prove that its not what you are that counts, its what they think you are” .This encapsulates the postmodern concept of truth as a subjective value. No public figure was more subjected to this treatment than Princess Diana. Voyeurism reached its zenith. We can only begin to imagine what Warhol would have made of it all. Following the death of Princess Diana, the almost pornographic detailing of her death and the outpouring of grief that engulfed the country, Jackson made her name with a series of disturbing works culminating in an image which still resonates. This is her notorious photograph of 1999 which depicts Princess Diana, Dodi Al-Fayed with their imaginary mixed race love child. There was an uproar and this uproar only served to underline the implicit racism in the vi. Jackson turns the tables on us. WE are implicated in the voyeurism. Photography she has said is “a slimy deceitful medium” which “tells only a partial truth”. The in conversation between Alison Jackson and Simon Baker presented by Chelsea Salon is being held on the 28th of Oct 2015 at the Chelsea College of Arts lecture theatre. 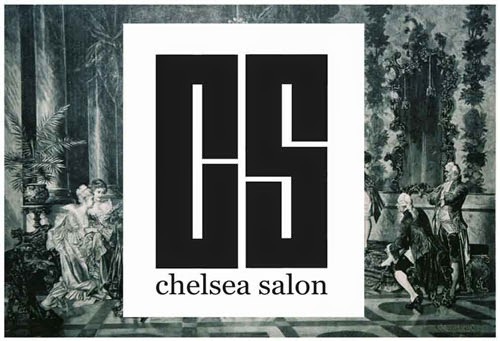 Chelsea Salon is the subject of a PhD study into self-institutional art practice and institutional critique of the art school as is an overlooked site of critique neglected for art’s institutions of display, galleries and museums. The PhD aims to explore new approaches to institutional critique by analysing the manoeuvrable practices of Chelsea Salon and will contribute to knowledge by generating a theory of interstitial pedagogy that shifts between institutions.